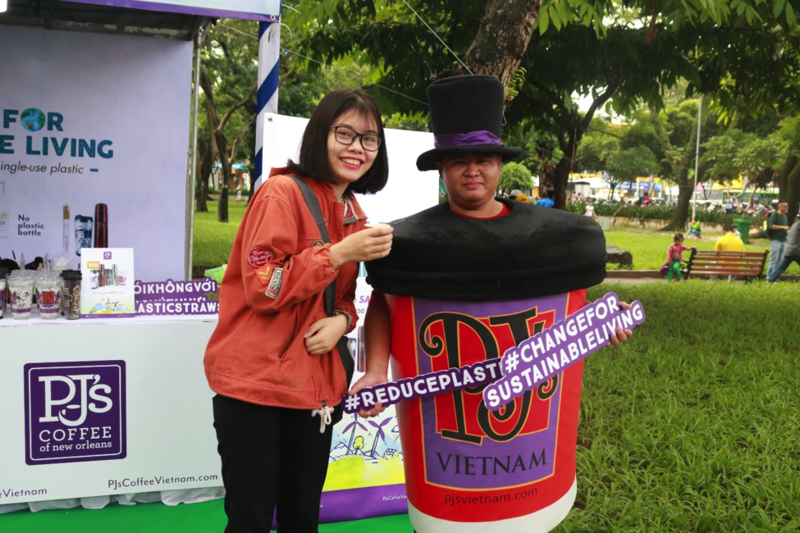 On June 3, PJ’s Coffee Vietnam had the opportunity to participate in the “Go-green Day” event organized by the Ho Chi Minh Department of Natural Resources and Environment. 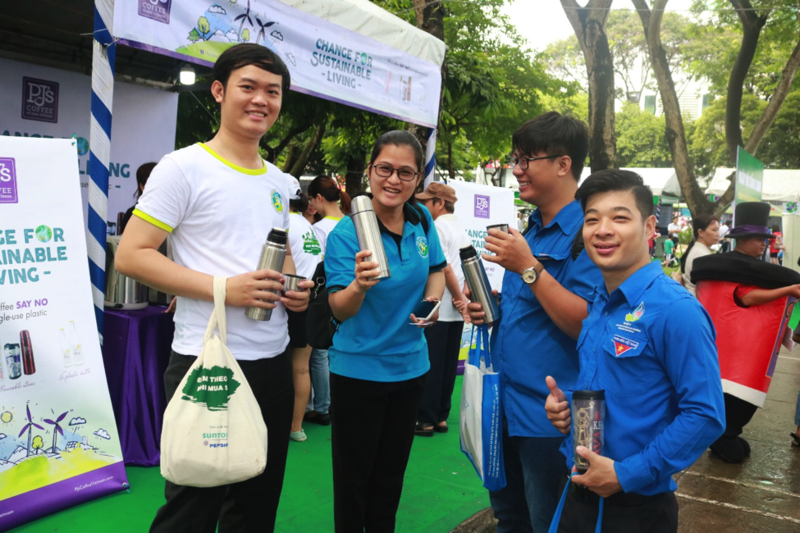 The event attracted many local Saigonese participants, particularly the younger generation, because of its meaningful message: “Let’s build a green life”. 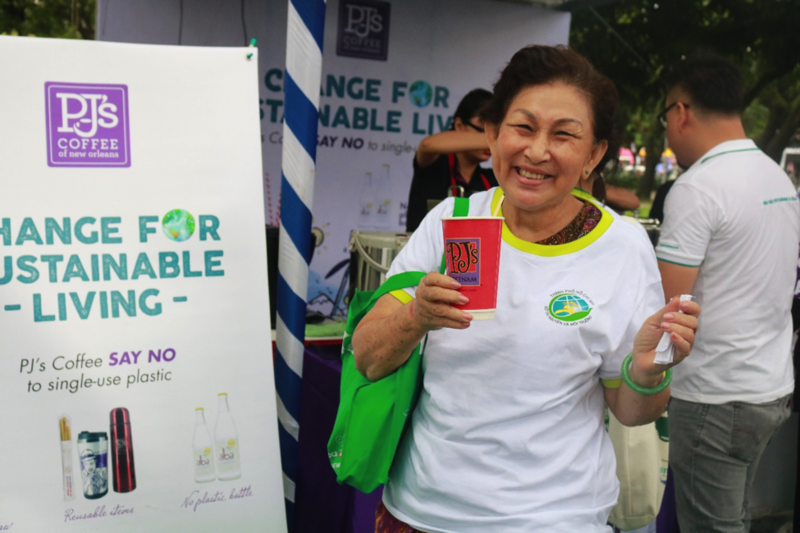 – Propagate the message of “Change for sustainable living”; encourage every visitor to “say no to plastic straws” and to “reduce the use of plastic items”. 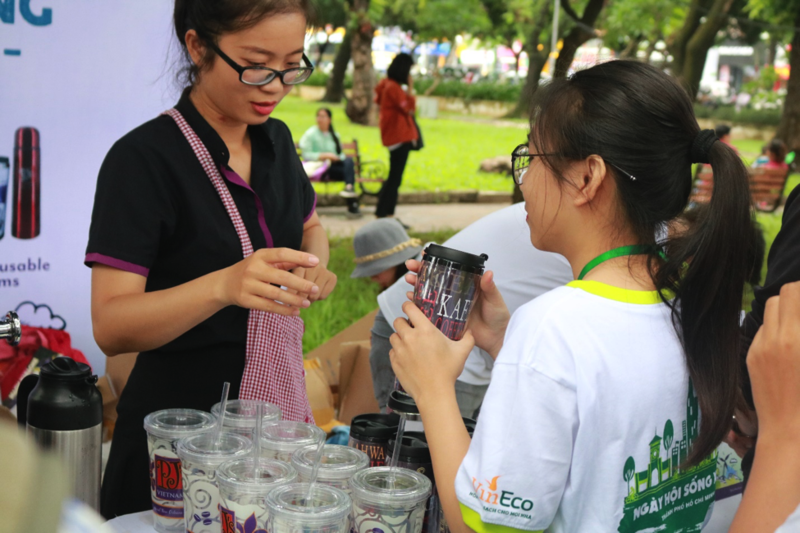 – Introduce and sell reusable tumblers which help protect the environment. – Give out tea and coffee samples. 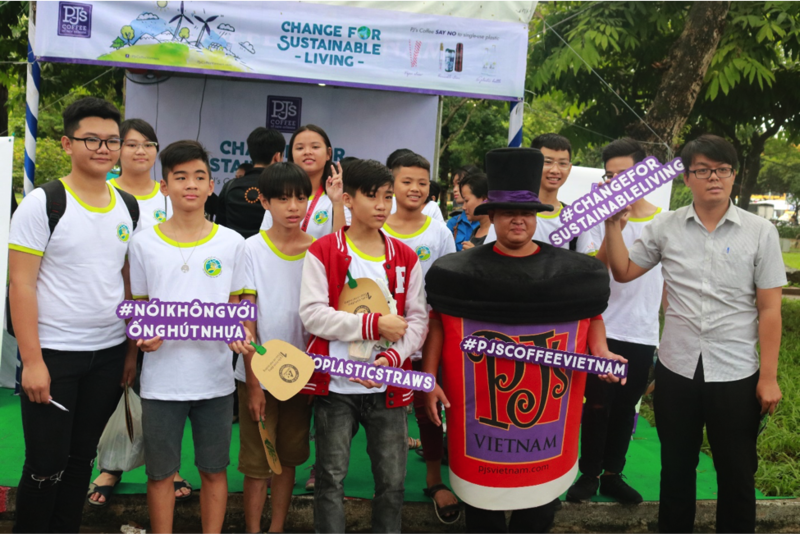 PJ’s Coffee Vietnam hope to have inspired the go-green attitude to many customers. We were extremely delighted when people joined hands with PJ’s to spread this attitude to more people through photos with hashtags on their social network channels. Let’s “change for sustainable living” together for a better future!